N It will bring cloudy skies with light rains over the provinces of Cagayan, Isabela, Quirino, Aurora and Quezon. 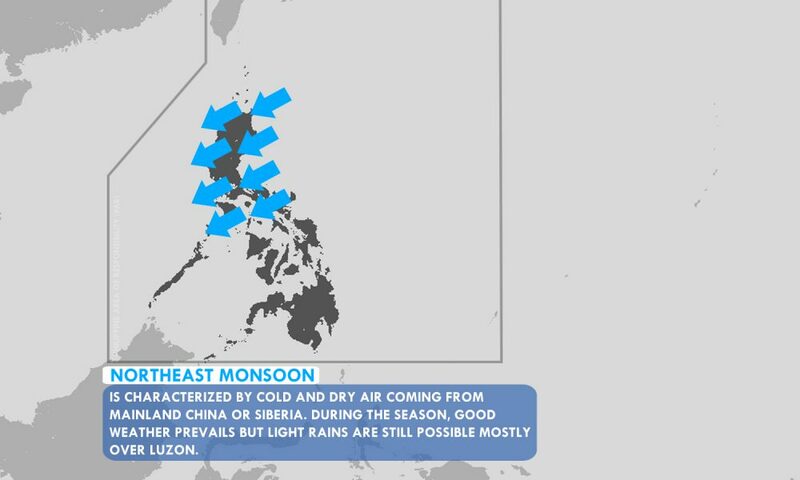 While Metro Manila and the rest of Luzon, partly cloudy to cloudy skies with isolated light rains will prevail. 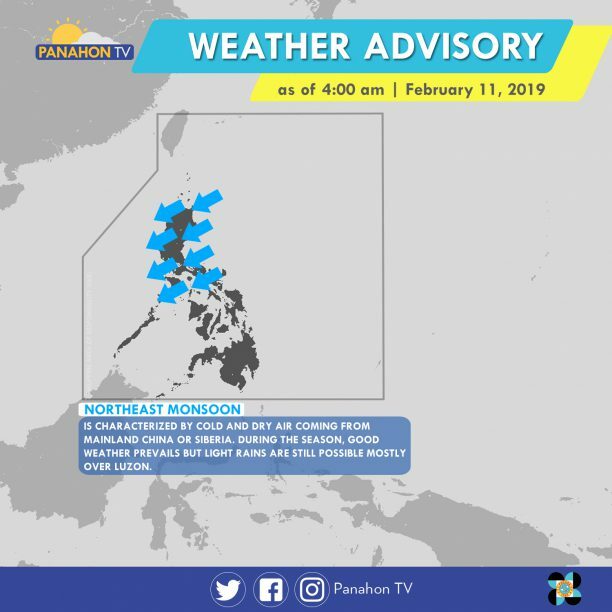 Meanwhile, due localized thunderstorms Visayas and Mindanao will experience partly cloudy to cloudy skies with isolated rain showers.